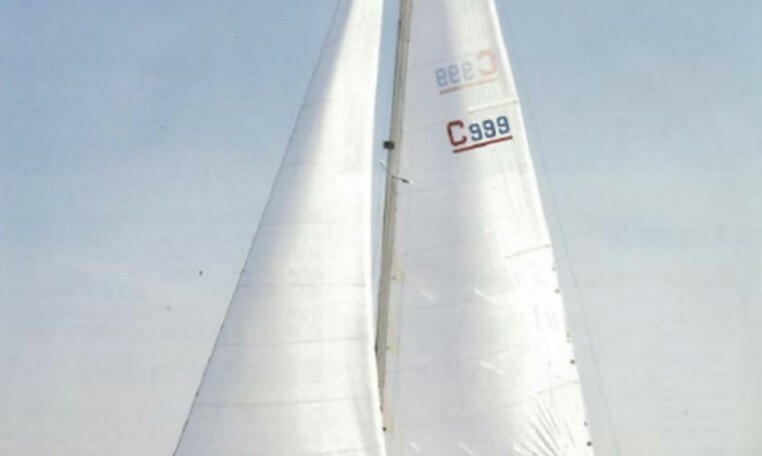 Designer Frans Maas had the changeable Dutch weather and a crew of six in mind when he designed the Compromis 999class. 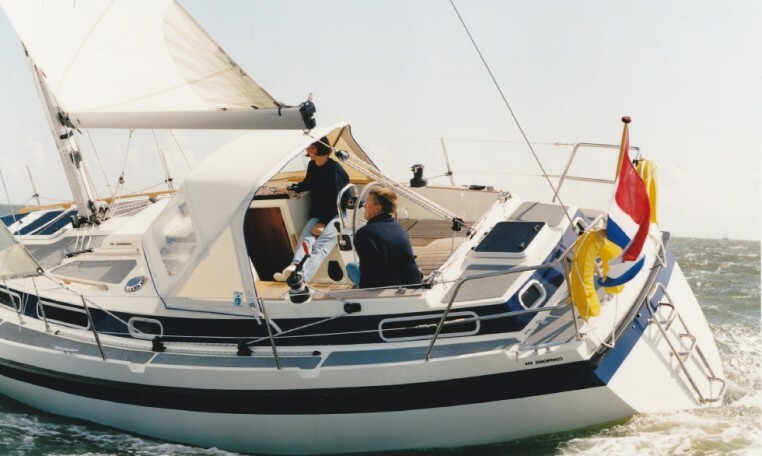 Particularly for longer trips in open water, this is a wonderfully strong and comfortable yacht. 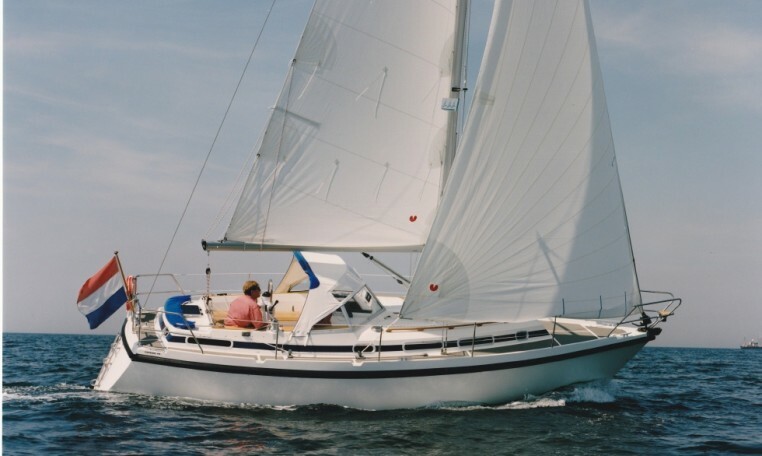 She allows herself to be maneuvered smoothly and easily, even white a smaller crew. 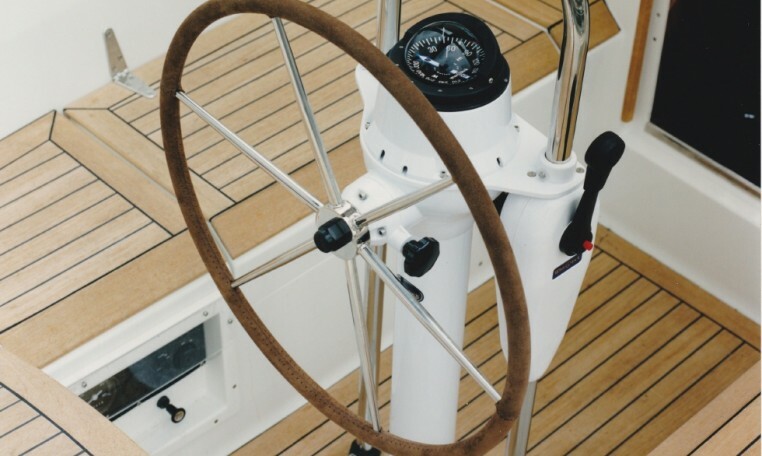 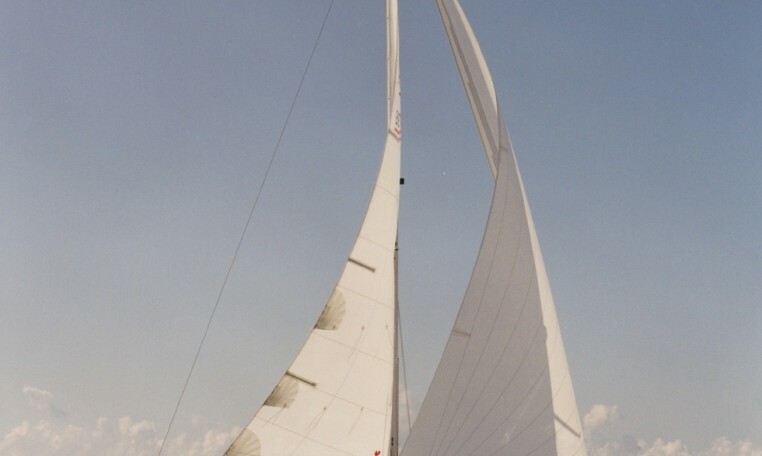 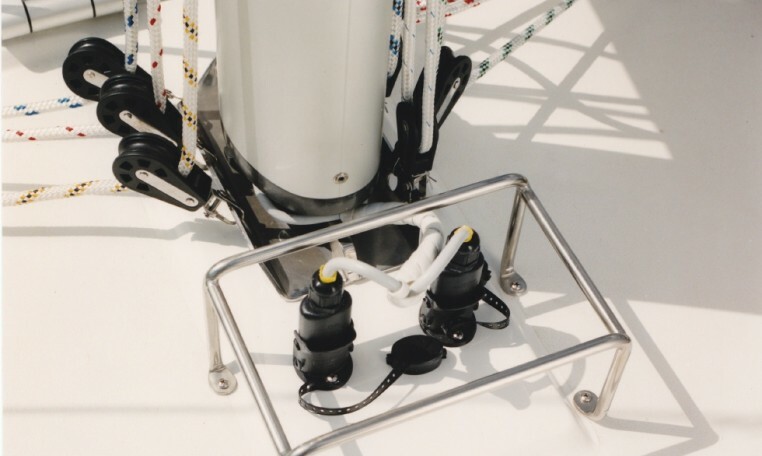 All halyard and sheets can be operated from the cockpit of the Compromis. 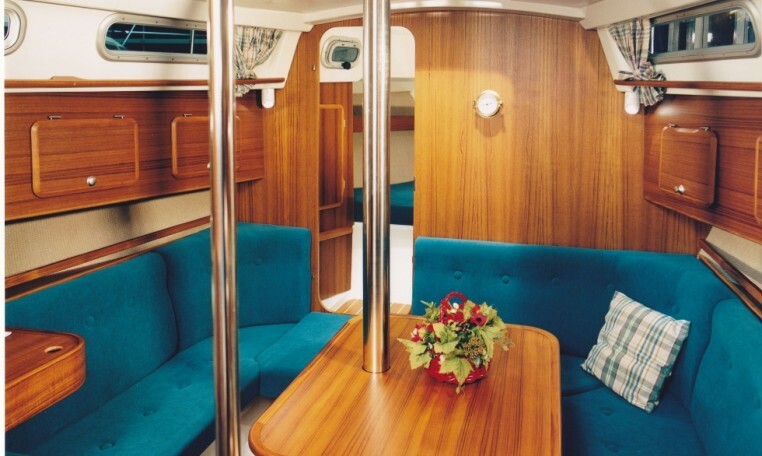 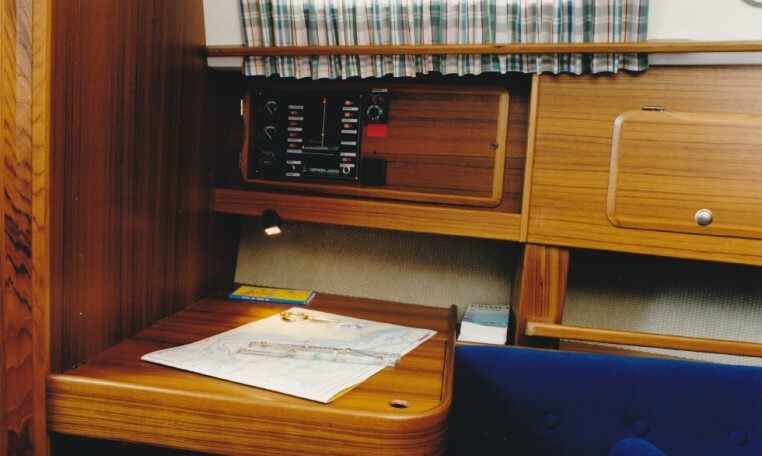 The yachts are surprisingly spacious and luxuriously furnished. 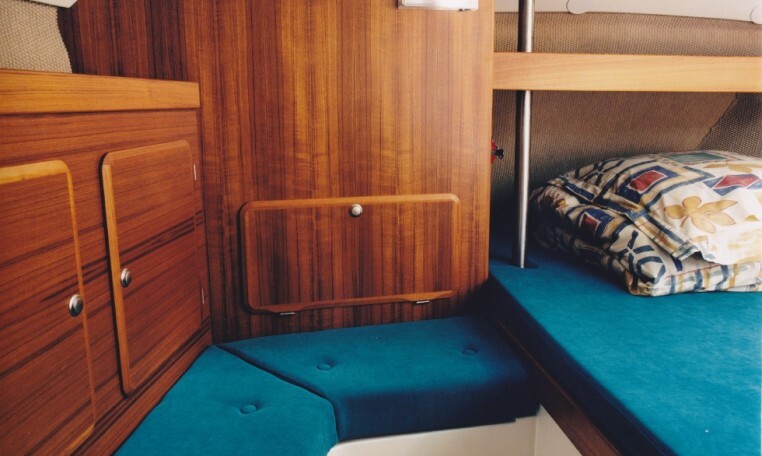 For tall people too! 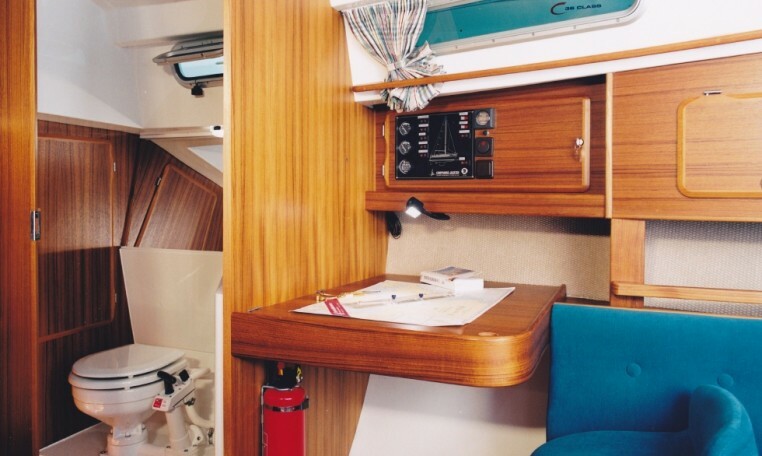 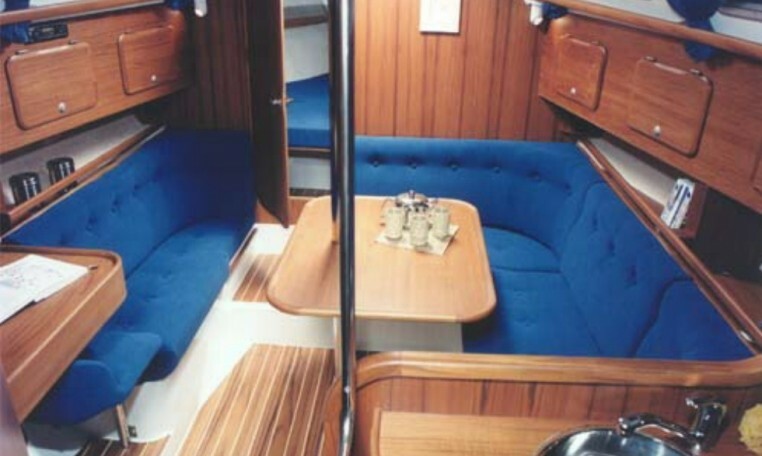 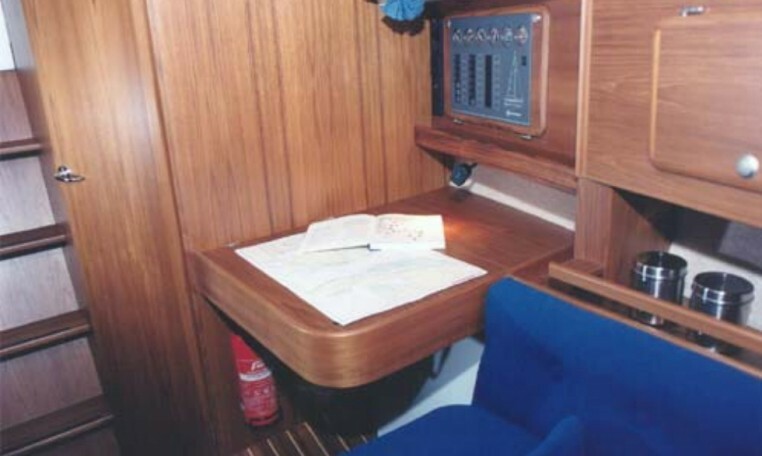 In the saloon there is a comfortable sofa fitted around the walls and a roomy charting area with a swivel chair. 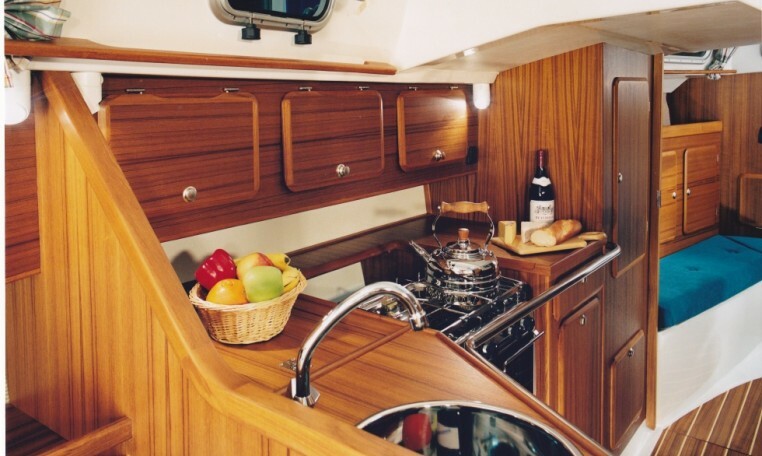 The galley is equipped with the latest modern conveniences and gives you support in all weather conditions. 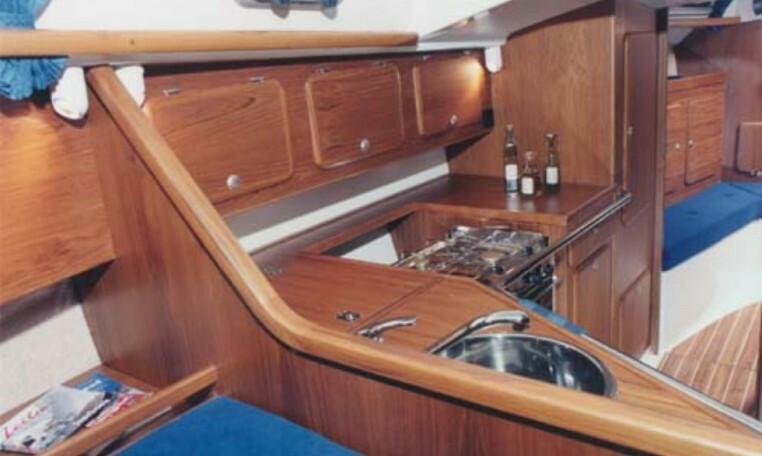 The full standard equipment makes life on board the compromise 999class even more agreeable-if that is possible. 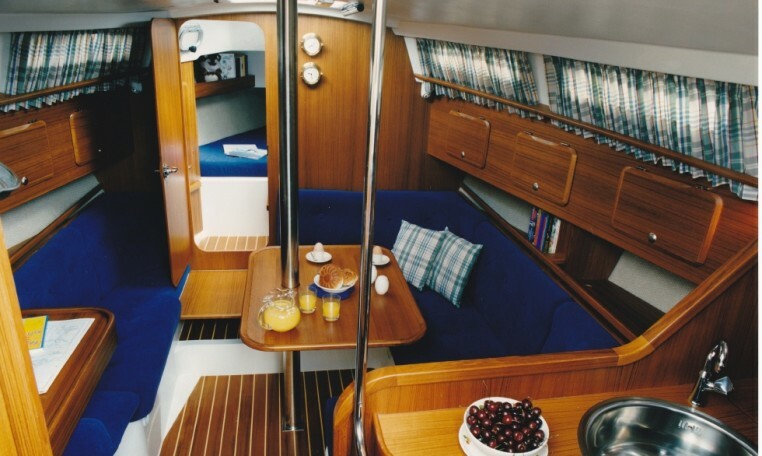 This is de boat for the sailor who likes to be pampered. 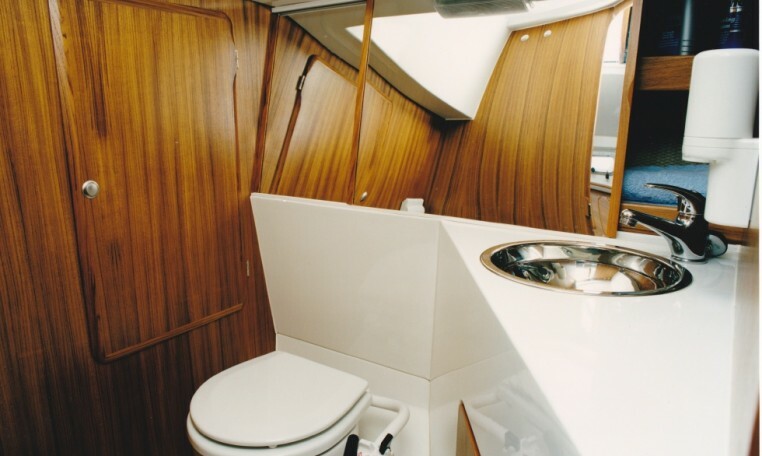 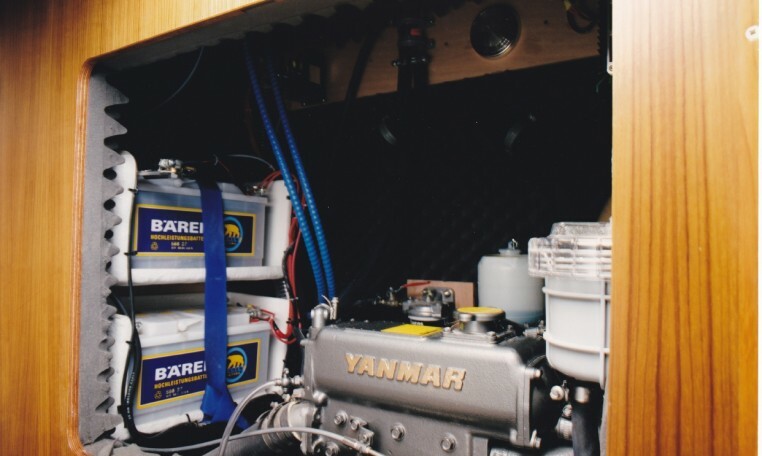 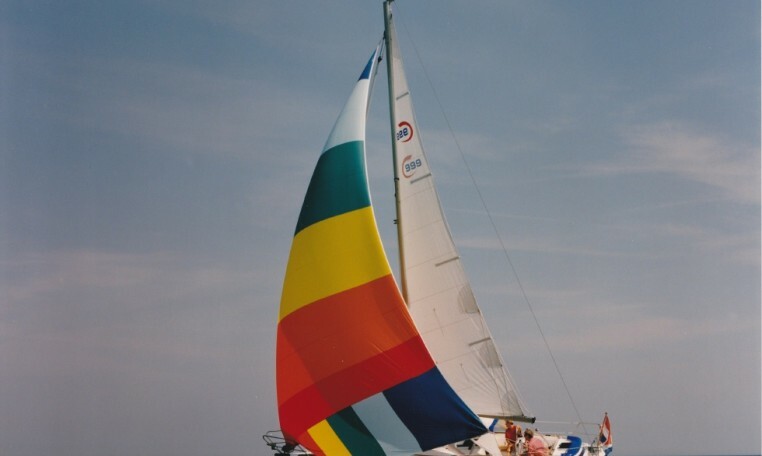 The hulls of our yachts are laminated with vinyl ester resin, which is unique in yacht building. 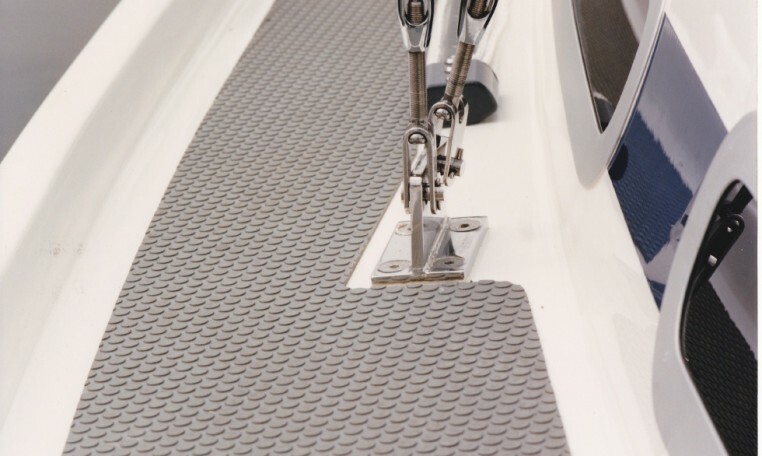 The resin has an extremely dense structure and contributes towards greater hull strength. 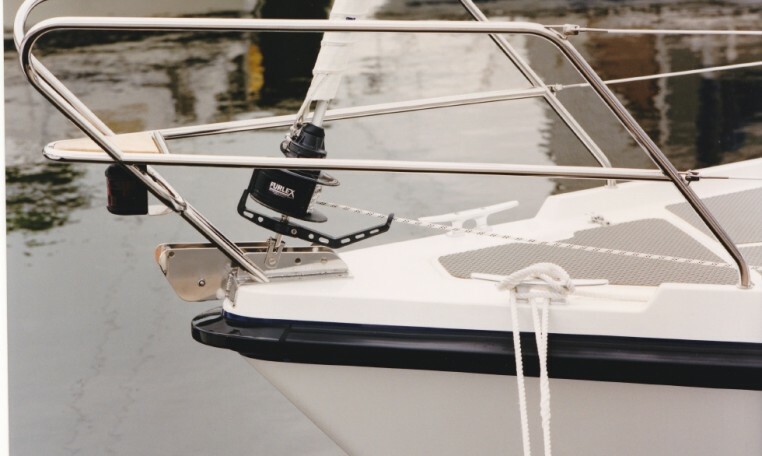 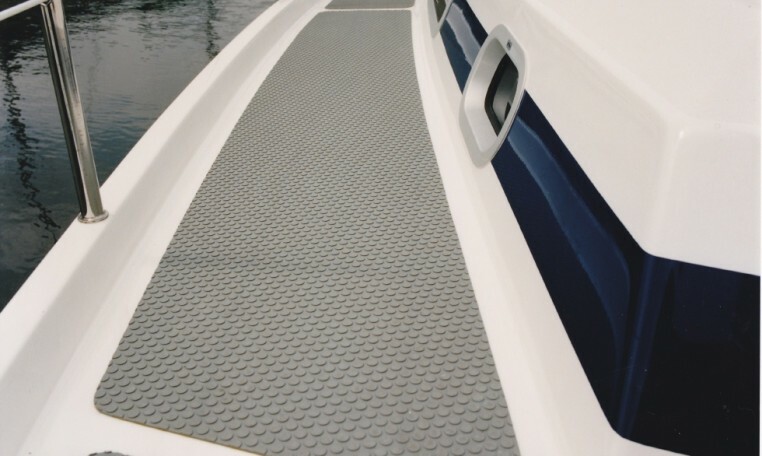 The joint between the deck and the hull is constructed in such a manner that a functional rubbing strake is formed at the widest part. 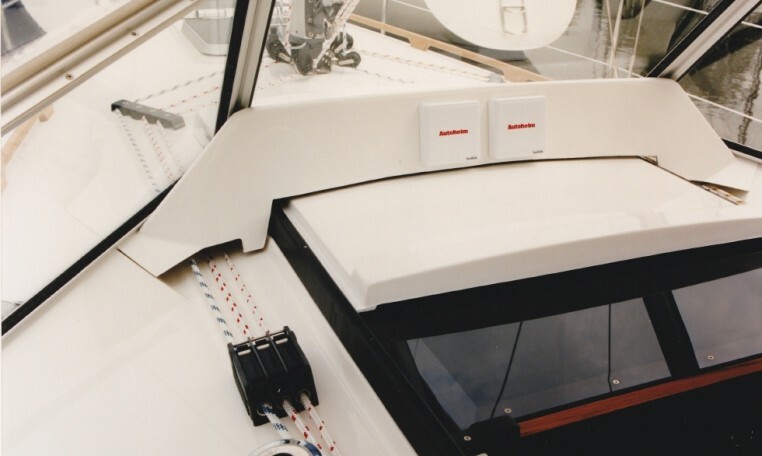 The construction of the keel suspension guarantees optimal power transmission to the hull.